The Bohuslav Martinů Critical Edition was launched something over a year ago, the project is scheduled to roll out over the next half century and is realised with the financial support of Bohuslav Martinů Foundation and in collaboration with the publishers Bärenreiter and Bohuslav Martinů Institute. Already published are volumes on The Epic of Gilgamesh, Symphony No. 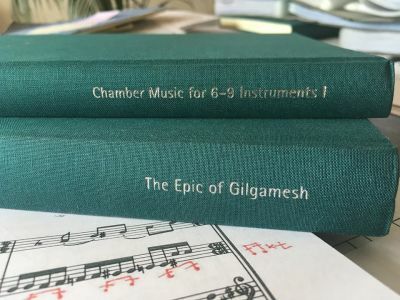 4 and Chamber Music for 6-9 Instruments, and the availability of the printed music is leading to an increase in performances. In the UK, Aleksandar Marković conducts the Bournemouth Symphony Orchestra in Martinů's Symphony No. 4 (written in 1945 whilst the composer was living in the USA) at the Lighthouse, Poole (26 October 2016), and the Guildhall, Portsmouth (27 October). And further ahead, Vladimir Jurowski conducts the London Philharmonic Orchestra in the Memorial to Lidice at the South Bank Centre on 25 January 2017. Though you have to travel to Brno, or to Prague if you want to hear his oratorio The Epic of Gilgamesh. Further information from the Martinů website.